Slowly but surely, I'm getting better about writing these "Best of" lists in something approaching timeliness. Even if it might be a bit late for holiday gift-giving purposes, I'm writing about the best of 2015 in 2015. This past year was another good one in terms of new releases, so once again it was difficult to narrow down the musical year -- I'd guess that I once again listened to 250-300 albums -- to what is, in essence, the my favorite 10%. As always, my year-end best-of list matches the Fids and Kamily year -- that is to say, from October 1, 2014 through September 30, 2015. So some good albums from the last couple months [waves at They Might Be Giants] will just have to wait for next year's list. [Review] - "Like the trees they sing about, this duo's connection six years ago has grown into a sturdy friendship and musical collaboration. You're unlikely to hear a more joyful celebration of the natural world and our relation to it this year." [Review] - "So often trailblazing releases are notable more for their context than their content, but in the case of Great Pretenders Club, the album's music is every bit as notable as the way it's been introduced to the world. This is, simply put, one of the year's best albums." 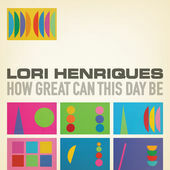 #3 (tie) - Lori Henriques - How Great Can This Day Be? [Review] - "After winning the Joe Raposo Children’s Music Award, named for the composer of classic songs for Sesame Street and the Muppets, last year, her smart and joyful music, which sounds like it’d fit right in on those classic shows, is finding a wider audience. Her new album How Great Can This Day Be shows off those musical talents." [Review] - "Red Yarn’s fervor for American folk music is evident on Deep Woods Revival. While folk music has never gone away in the children’s music genre, he forcefully makes the case for its continued relevance in the era of the mp3." [Review] - "So, yeah, I’m late to the party, but better late than never. Big Block Singsong is ten tons of fun. After listening and watching, your kids’ll probably have a two-banana day, too." 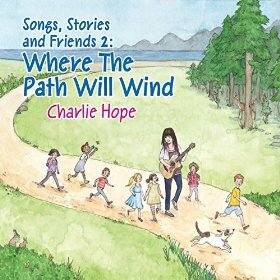 [Review] - "Looking for an album that provides guidance on moving through early childhood life transitions? Move along, then, because this album kicks off with a song called “Dancing Pig” that answers the question, “What would a Tom Waits song about a prancing porcine sound like?,” and never really gets any less weird from there." #5 (tie) - The Amazing Keystone Big Band w/ David Tennant - Peter and the Wolf and Jazz! [Review] - "The melodies themselves are unchanged, but the band's arrangement brings in a wide variety of jazz styles -- stride piano, hip-hop, free jazz, blues, cool jazz, and the like. None of the stylistic shifts seem out of place -- rather, they feel appropriate to the story." [Review] - "Have I made it clear enough that Rocksteady is a party, through and through? 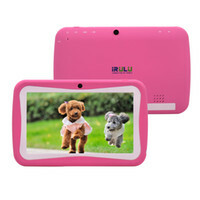 Because it is, enough so that your kids probably won't even need that lullaby album to fall asleep to after dancing like crazy." [Review] - "With Bon Voyage, Jazzy Ash fully connects with her own family’s musical heritage, yet incorporates those 100-year-old traditions into 21st century kids music. It's a buoyant and warm-hearted album for the younger set." [Review] - "Where the Path Will Wind is essentially an audio magazine, an aural equivalent, perhaps, to her Sing As We Go! video series." [Review] - "While I've always thought Kubart's music had their share of pop hooks, Home is bursting at the seams with them and is his best effort yet... [B]less Tim Kubart and his big pop heart." 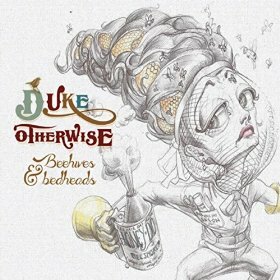 [Review] - "Imagine, however, if other musical strains of the [1960s] -- psychedelic pop, Phil Spector's Wall of Sound production -- also found themselves working their way into kids' music with songs for the youngest listener." #8 (tie) - Caspar Babypants - Night Night! [Review] - "I hope Ballew doesn't take this the wrong way, but his album is forgettable in all the right ways. What I mean by that is the music, while catchy, isn't necessarily one bouncy hook-filled song after another. Rather, it features a more consistent -- and obviously far mellower -- tone." The eagle-eyed among you will note that that list includes a baker's dozen of albums, not ten. I didn't squeeze an extra three albums into my ballot -- only 3 of those 6 albums tied for 8 made it in. But it was such a hard choice that I'm sure I'd pick a different 3 every week. For Fids & Kamily I need to make a choice. But this is my list, and so I'm listing thirteen albums. After these top thirteen, distinguishing between the rest of my list becomes even more difficult. So once again I'm taking the easy way out - alphabetical order for albums 14 through 30. Posted in Record Collection (Lists of Top Albums) and tagged with Molly Ledford and Billy Kelly, The Pop Ups, Lori Henriques, Red Yarn, Big Block Singsong, Duke Otherwise, The Amazing Keystone Big Band, Josh and the Jamtones, Jazzy Ash, Charlie Hope, Tim Kubart, Alison Faith Levy, Caspar Babypants, best kids music, Fids and Kamily Awards. December 19, 2015 by Stefan Shepherd.